Early 3rd century writer and martyr, she defied father and the state due to her faith. Vibia Perpetua was a young, twenty-one-year-old woman who was executed in Carthage (or present-day North Africa) on March, 7 in 203 AD with her dear friend and servant, Felicitas, and the servant’s husband Revocatus, along with friends Saturninus and Secundulus (Farmer). The group of friends was arrested months earlier in their small town just outside of Carthage, which was then under the control of the Roman Empire, when they were caught practicing Christianity under their spiritual mentor, Satarus (Farmer). During this time, Christians were being persecuted because of their often outright refusal to worship Roman emperors and deities (Dennis 261). Perpetua discovered Christianity from practitioners Felicitas and Revocatus and began to undergo the process of catechism, the lengthy process of being baptized into the Church soon after (261). Perpetua and her servant met their friends and spiritual mentor when undergoing this process privately (261). The group would not be able to complete their baptism, however (261). Perpetua and her friends were arrested before they could officially be baptized (261). The group cherished their religious beliefs, though, and held strongly to their spiritual convictions when imprisoned. Roman society tolerated a great variety of gods, cults and deities, but worship of Jesus Christ as a god was not tolerated (McGowan 267). The emergence of Christianity definitely contrasted the idea of celebrating Roman figures, the cultic worship of Roman emperors (267). Christian beliefs are notoriously exclusive, meaning there is not room to worship other forms of authority, such as emperors or prominent Roman figures (267). Christians believe there is only one God. Therefore, we can understand why the Roman Empire went to war on Christians during Perpetua’s time. For the woman to boldly declare, “I am a Christian,” under oath implies some serious misdeeds! While today, declaring you have faith means simply that, in Perpetua’s time, it implied a pronounced refusal to respect the emperor’s authority. Furthermore, Christians in the Roman world were marginalized because they were so different from those of the social norm (267). Under emperor at the time, Septimius Severus, Christians were being persecuted left and right, making it extremely risky for Perpetua and her friends to publicly practice any aspect of the religion (267). Perpetua was born in the year 182 into a prominent and wealthy family and was married to someone of equally high social standing (Cooper 685). Neither her parents nor her husband were Christians (685). Perpetua’s marriage began when she was very young, and she had given birth to a son one year before she was arrested (685). During Perpetua’s time, Roman families, regardless of social standing, had to be very careful when under scrutiny by authority (686). Families typically would outsource for council and backing in the event of a trial, much like today (686). For this reason, it was very important that Perpetua receive support from her family during her imprisonment. Because she was undergoing the transition into Christianity in secrecy from her husband and parents, however, Perpetua was not able to garner familial support once arrested (685). The woman’s husband quickly abandoned her, her nursing child was taken away from her and she was ultimately unable to mend her relationship with her parents (686). Christians were known to be especially cautious when under scrutiny by authority figures (McGowan 273). It was widely known through Carthage and in surrounding areas that the Christian faith did not permit making sacrifices to Roman political figures or Roman gods. Therefore, when Perpetua was arrested, she was taken from her family and place in the home of a person of high standing where she would be watched and questioned (Cooper 686). This placement is similar to domestic custody and house arrest today (686). She was then transferred to prison, which she explained to be very dark and frightening (686). During her stay in this prison, Perpetua wrote a great deal in her diary about being comforted by other individuals imprisoned for similar causes: a public demonstration of faith. She also wrote of being sustained by God’s comfort, of having dreams and visions that would come to her in her prison cell, of being questioned by a procurator. More importantly, Perpetua wrote of her father visiting her in prison, urging her to deny her belief in the Christian faith that her charges might be dropped. Perpetua adamantly refused her father’s wishes, however. “While we were still with the persecutors, and my father, for the sake of his affection for me, was persisting in seeking to turn me away, and to cast me down from the faith: ‘Father,’ said I, ‘do you see, let us say, this vessel lying here to be a little pitcher, or something else?’ And he said, ‘I see it to be so.’ And I replied to him, ‘Can it be called by any other name than what it is?’ And he said, ‘No.’ ‘Neither can I call myself anything else than what I am, a Christian.’ Then my father, provoked at this saying, threw himself upon me, as if he would tear my eyes out. But he only distressed me, and went away overcome by the devil’s arguments. Perpetua’s father’s visits were perhaps intended to be consoling, were perhaps meant to find a solution to their problem, to find a way to free Perpetua from her trial, but a power struggle quickly emerged between the father and daughter (Ronsse). Because Perpetua was such a strong and faithful Christian, she refused to stand down and respect her father’s wishes that she deny her affiliation with the religion, even if it cost the woman her freedom. Perpetua not only defied her father, but also the present social structures of a patriarchal society and its inherent power structures regarding religion. Because she did this, Perpetua serves as a testament to the importance of religion to its followers. Perpetua was probably deeply concerned by this dream because it recalls biblical analogies regarding Christ as a shepherd and his followers as his sheep. The shepherd’s act of welcoming the sheep into an ethereal garden suggests Christ would soon be doing the same for Perpetua when she would arrive in heaven upon her death. Prophesy is not something unique to Perpetua; many significant religious figures account for their God-given gift of prophesy (Davis 264). Perpetua having and interpreting this dream as prophetic, however, is important to understand in the context of her impending death. To avoid a brutal death, Perpetua was asked to deny her affiliation with Christianity and partake in a simple pagan tradition, such as scattering incense, to prove her willingness to heed to Rome’s accepted forms of spiritual practices (Cooper 692). 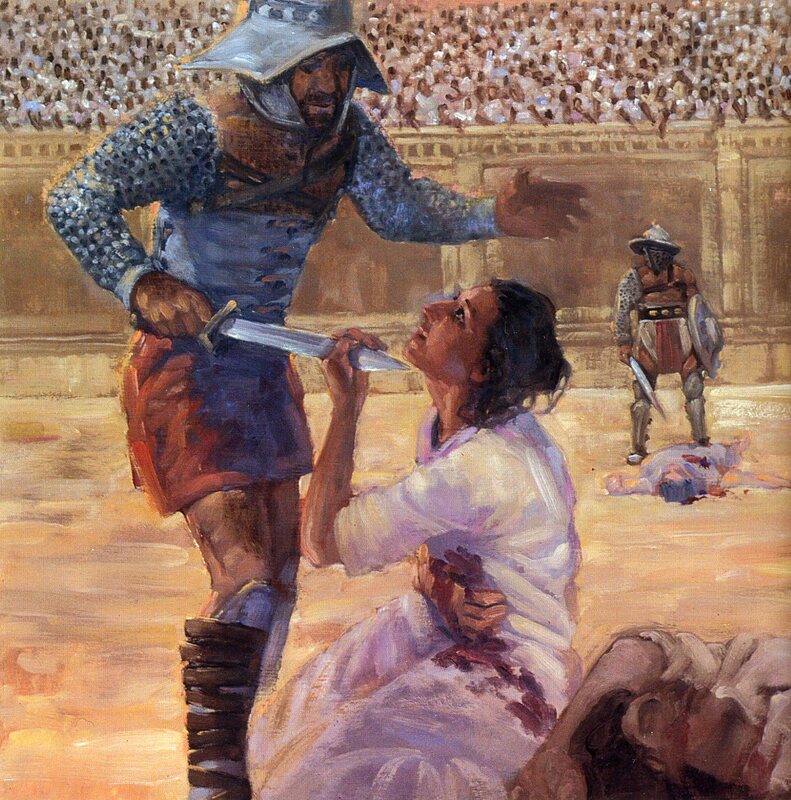 Perpetua and her friends refused to deny their belief in the Christian faith, however, and were sentenced to death in an arena (692). Animals including leopards, bears and mad heifers were brought in to publicly kill the prisoners, and masses of people poured into the Carthage arena to view the deaths (Farmer). Though a beast was meant to kill Perpetua, she sustained injury until she was attacked by a gladiator, his knife plunging into her neck (Farmer). It was said that Perpetua, then accepting of her death, helped guide the dagger inward, demonstrating courage and a love for God that far surpassed her own fear of death (Farmer). All of Perpetua’s friends who were arrested with her also died alongside her in the arena that day. All of the martyrs were buried in the Basilica Majorum in Carthage (Farmer). These women involved, both Perpetua and Felicitas, were immediately canonized, or declared saints, after their deaths, gaining widespread popularity throughout the entire Christian Church (Farmer). A feast of honor was given on March 7 that year in honor of the women’s deaths and is still celebrated today! Cooper, Kate. “A Father, A Daughter And A Procurator: Authority And Resistance In The Prison Memoir Of Perpetua Of Carthage.” Gender & History Vol. 23, No. 3. (2011) 685-702. Web. 31 Mar. 2014. Davis, Patricia M. “The Weaning Of Perpetua: Female Embodiment And Spiritual Growth Metaphor In The Dream Of An Early Christian Martyr.” Dreaming Vol. 15, No. 4. (2005) 261-270. Web. 31 Mar. 2014. Farmer, David Hugh. 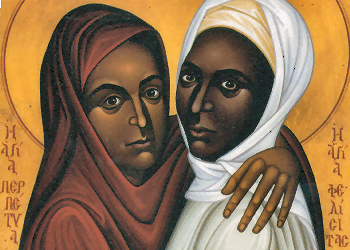 “Perpetua and Felicitas.” The Oxford Dictionary of Saints. Oxford University Press, 2011. Web. 31 Mar. 2014. McGowan, Andrew. “The Ancient Limits Of Modern Religion: Perpetua, Augustine And The Construction Of The Secular.” Pacifica Vol. 23, No. 3 (2010): 267-280. Web. 31 Mar. 2014. Petroff, Elizabeth Alvilda. 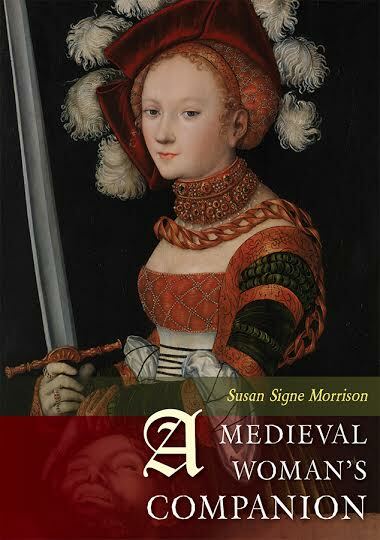 Medieval Women’s Visionary Literature. NY: Oxford University Press, 1986. Ronsse, Erin. “Rhetoric of Martyrs: Listening to Saints Perpetua and Felicitas.” Journal of Early Christian Studies. Vol. 14, No. 3. John Hopkins University Press: 2006. Web. 31 Mar. 2014.